Indus Motor Company has started booking for Pakistan Assembled Toyota Forotuner. Specifications are as following. This looks like a car showroom on Jail Road not a Toyota dealership. will these proj lamps fit vigo champ? btw what is the invoice price? Two unconfirmed news 1.) Lahore launch would be on 23-24 Feb in PC or Royal Palm. 2.) The price is over 5.5 million and close to 6 million. Spoke to 2 Toyota dealers but they don't seem to have a clue about price. IMC hasn't finalized it yet so I guess we have a chance to influence them to set lower price if at launch we all say that in other countries it's price is between 3.7m to 4.2m. Obviously they will sell a lot less vehicles if it's over 5 million. Yes, one dealer mentioned advance payment to me as well. However he said, "May be IMC will ask for 1 million advance and deliver after mid of March" but he didn't push it because I think he wasn't also sure. You are right, without seeing it no one should book it or pay advance. Looks like IMC is playing games and they want to price it higher but trying to test the market response. They know they will have monopoly in SUV segment by launchingFortuner so trying to cash it as much as they can. That's why it's important that everyone should give reference of prices in India, UAE and Thailand and ask them to price it near 4 million. 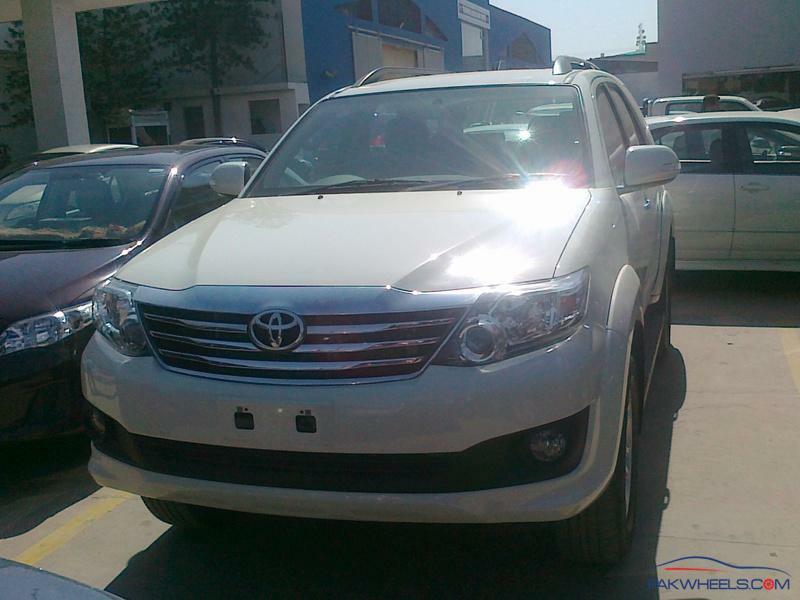 I just double checked Toyota UAE site and saw 2.7L Fortuner listed around 3.4 million Pakistani rupees. 4.0L model is around 3.8 million. Whereas, Thai and Indian models are around 4 to 4.2 million Pak rupee. Ours shouldn't go over 4.5 million. aftabjee !!! since you started this thread and posted the pictures can you please confirm the price? It's missing some "spark" somewhere, the impact isn't right. A good step forward if reasonably priced, but at 50K plus, I'd still stick to a "sesky" Prado 2003-2004. 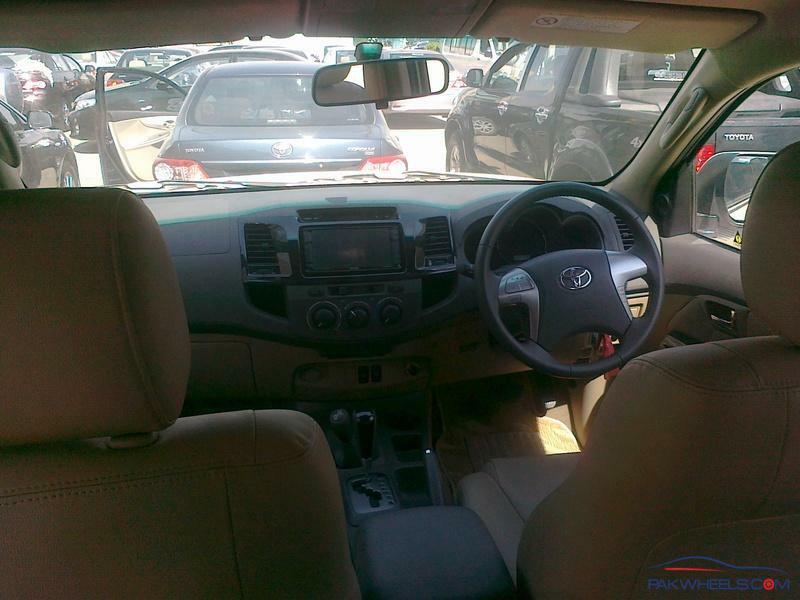 This vehicle should be priced at MAX 4 -4.3 Mils to make a success story. In most of the countries, if you do the conversion it's under 4 million so let's assume their production cost in Pakistan is high and so are the taxes then they shouldn't go over 4.2 million. That will be a fair price but from the news it looks like they are going for 5+ million. I don't know about others but I will also prefer to buy Prado which is bigger and better and got more options. 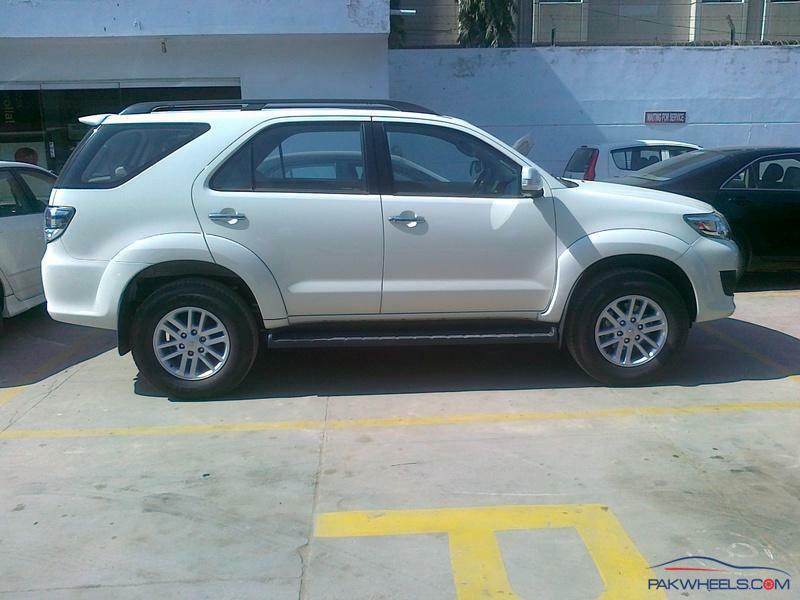 Fortuner is rather a compact SUV. I am having my doubts after reading all this. I did see all this a few months ago and did some research. Toyota haven't introduced Fortuner in Europe or the US just because of this reason. In the US Fortuner's equivalent is 4Runner which is built on a different Chasis/Platform. It's a newer and modified version of Hilux platform. Earlier Hilux/Surf/4Runner used to have same platform but they discontinued it in the US but kept using it for Asia because they couldn't get by the US laws. I don't want to put my family in car that could roll over and which is to be driven most of the time on urban roads and motor ways. the interior is similar to vigo champ!